I often make that dessert from scratch and with pears. The chocolate is a personal favourite addition, but can be left out. 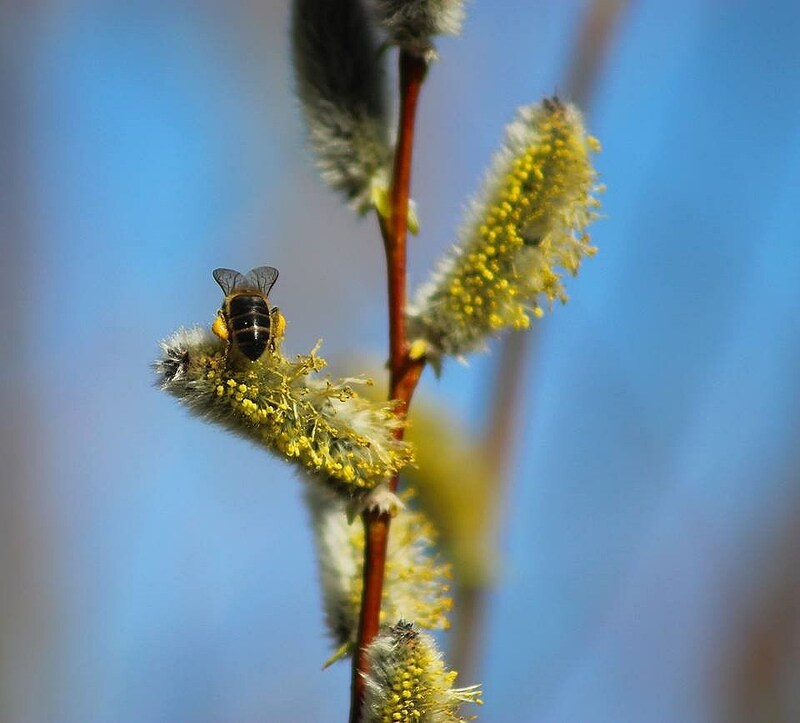 As the rhubarb season is showing its pretty face, you know that we are almost out of the woods… Bees are starting to gather pollen from Willow trees and Sand Martins, the first of the “swallows”, should be here any time now. So I felt like celebrating. 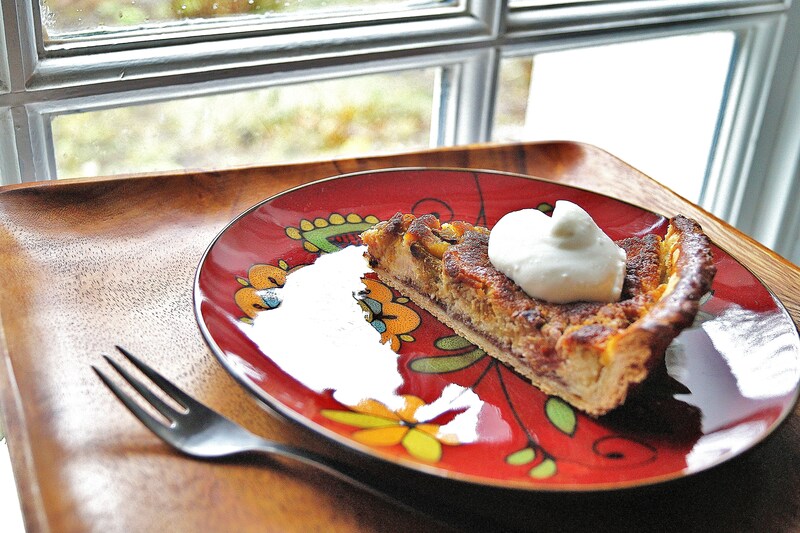 Now, if you make a tart or if you make a quiche, this is the recipe I use. It is absolutely brilliant. 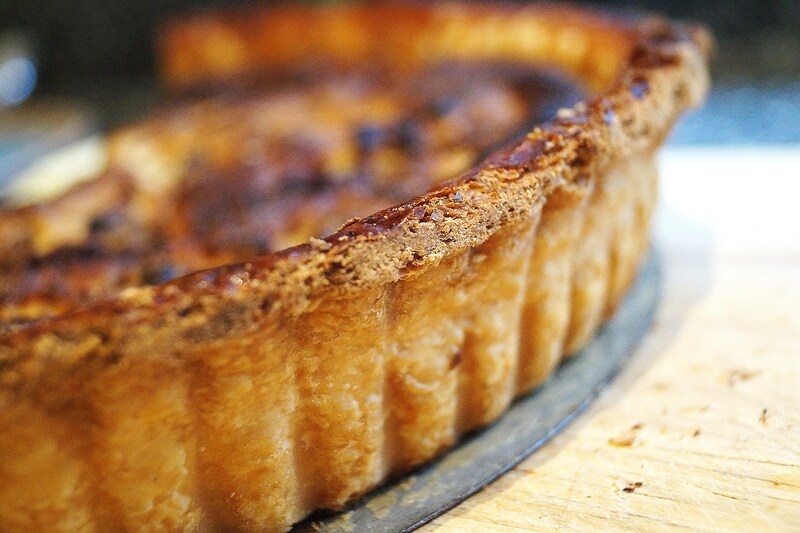 I have often experimented with short crust pastry but after all those years, I finally found a great way to do it. I don’t bother adding sugar (for the purpose of a dessert) but it can be done. As a deep rooted Breton, I use salted butter. It enhances the flavours of a tart in a gentle way, and obviously works well with a savoury quiche; like Bill Withers would say: “Ain’t No Margarine in this home, only butter every day…” and so forth. Put all the ingredients but the water in a blender and pulse until homogenised in a sandy texture. Put the mixture in a bowl and add the 5cl of water. Knead a bit more, wrap in cling film and leave it in the fridge while you prepare the rest of the ingredients. Now for the cream of almond, nothing could be easier to work with or memorise. 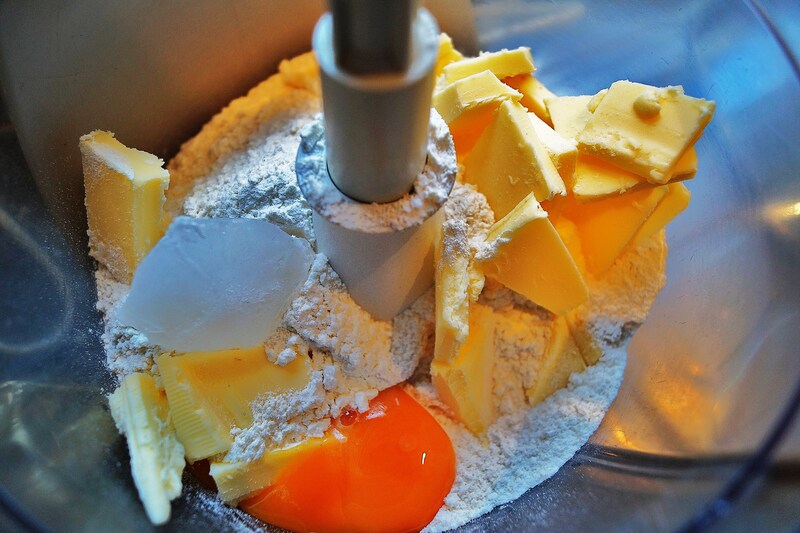 With a whisk, stir all the ingredients together, and add the cream after or while doing so. If it is a bit too thick, do not hesitate to pour a bit more than the 10cl recommended. 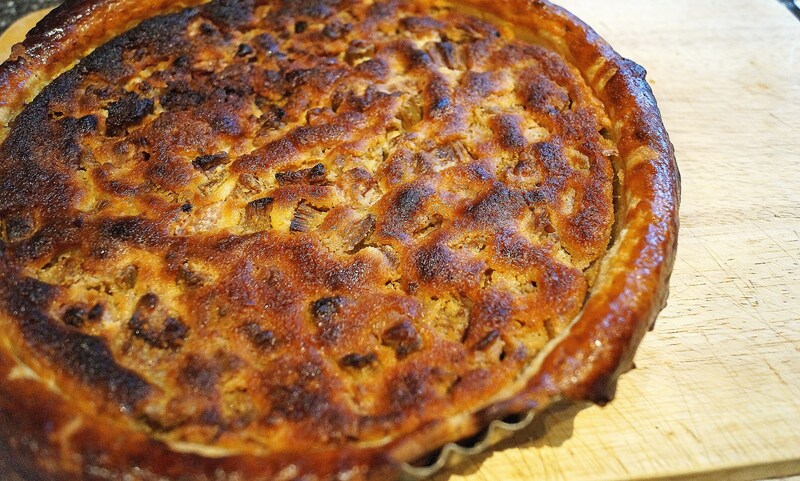 It is recommended to leave it to cool for a bit, which is a good thing as you have to look after the rhubarb now! 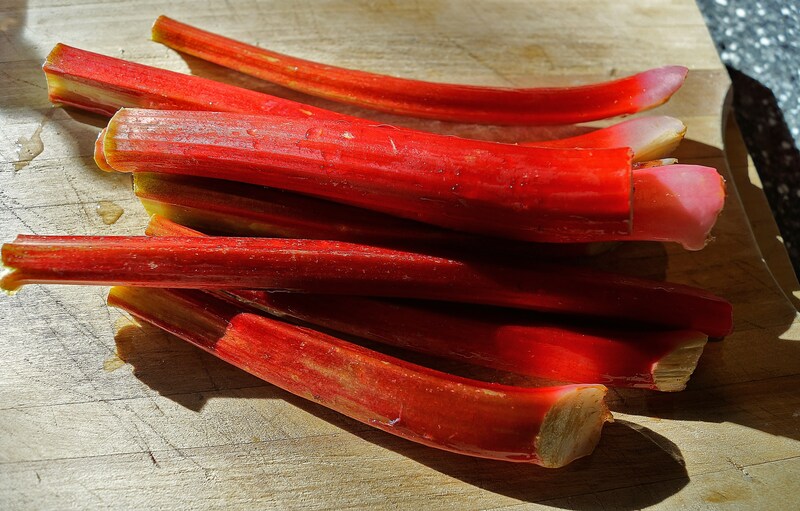 The thing with rhubarb is it comes in different sizes; I chopped 8 small stalks and put them in a pan, barely covered with water and 100g of sugar. 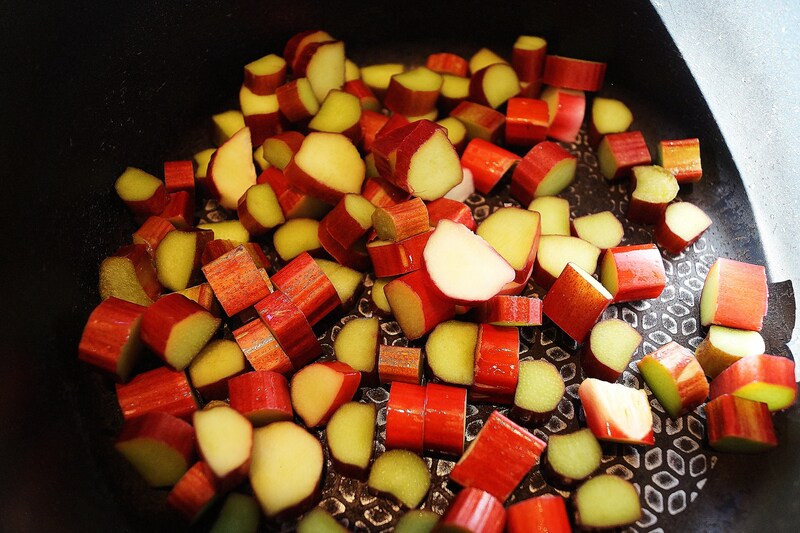 You want to keep the shape of the rhubarb and not turn it into jam, so stay put and with the tip of a knife, check for the pieces to be soft, but still a bit firm( it won’t take long). 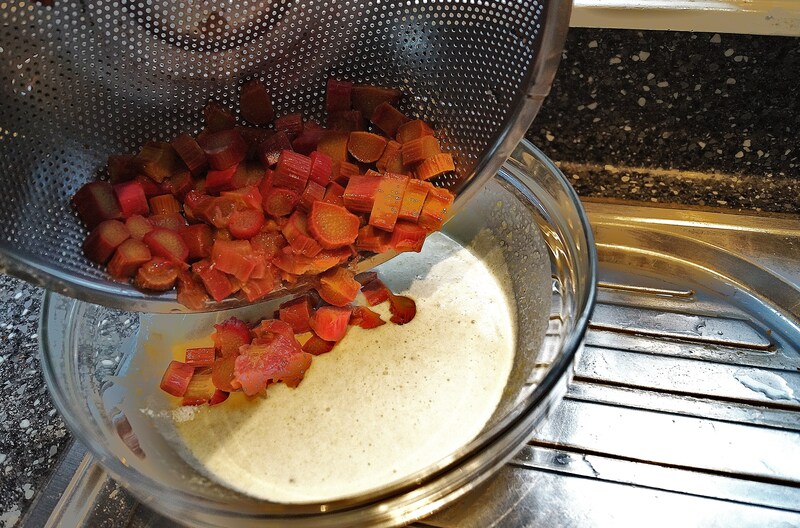 Once done, drain the liquid off (in a bowl for a later rhubarb lemonade or Bellini maybe?). 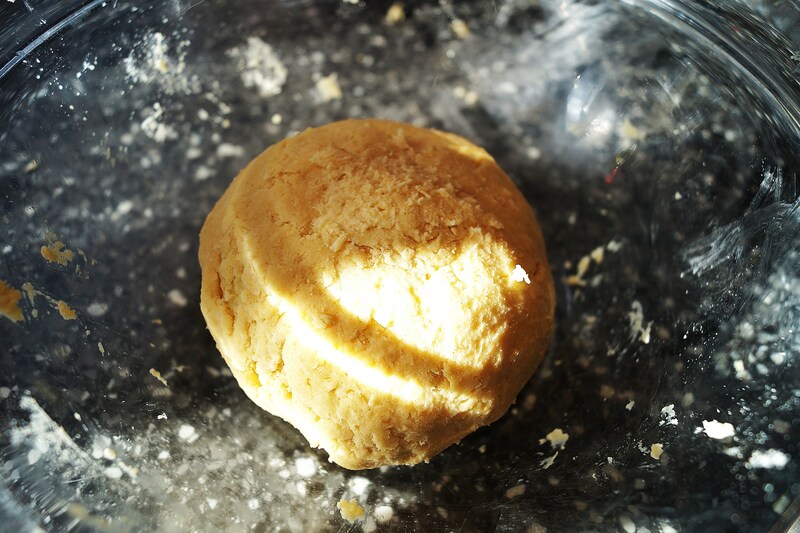 Back to our pastry; roll evenly with a bit of flour and place inside a buttered and floured tart dish. I do not blind bake, as I find it turns out perfectly well that way. The tip to put the pastry on the ring is to roll it back onto the rolling pin. 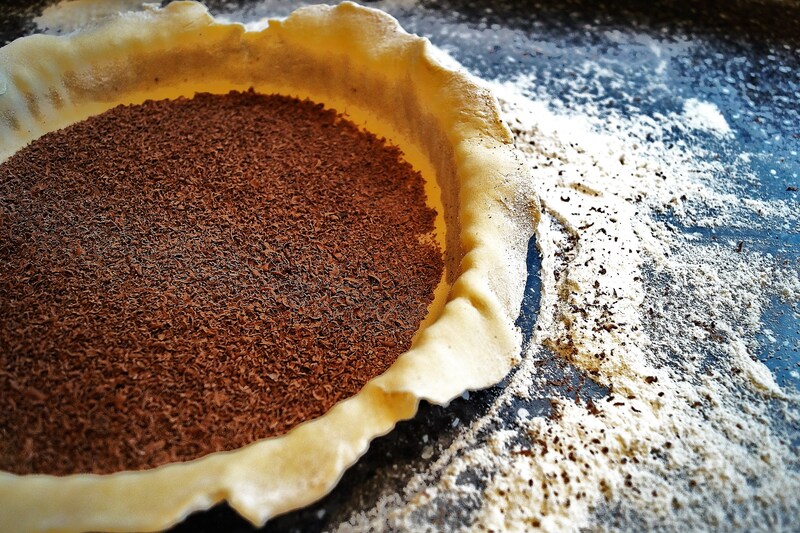 Grate 50 to 70g of dark chocolate at the bottom of the pastry and make sure it is evenly distributed. We are almost there. 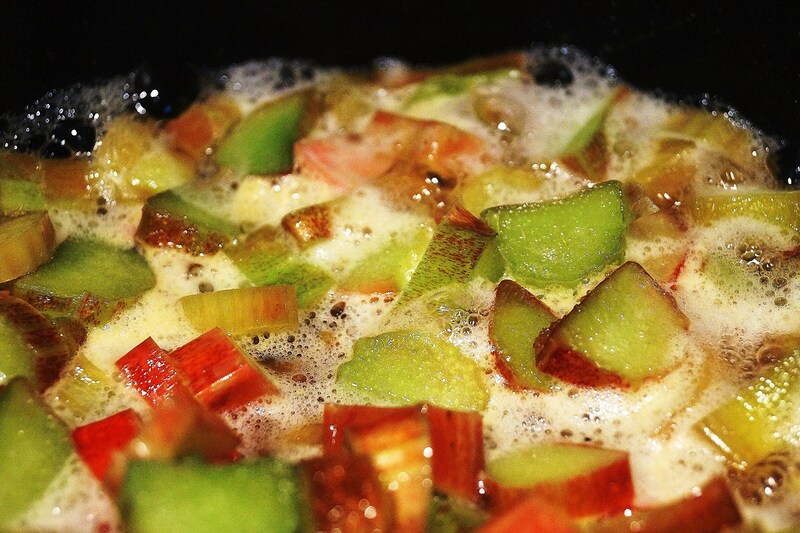 Take the cream of almond from the fridge, and gently mix in the rhubarb with a spatula. 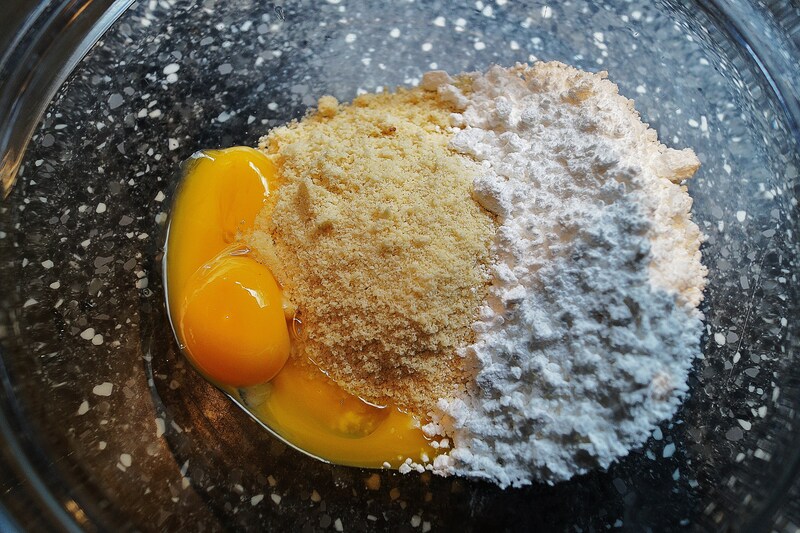 Pour the mix in the pastry cast, gently and targeting the middle. You want the chocolate to remain athe bottom and not to mix it. Bake in a hot oven at 200c and for 30 minutes ( check with a knife after that). 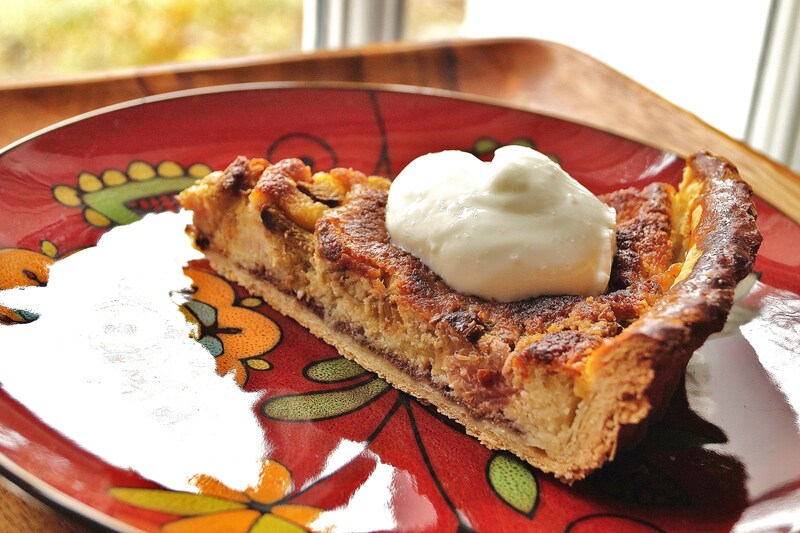 Serve with a bit of fresh whipped cream or not, cold or slightly warmed up, tea or coffee, I leave this up to you! Enjoy! Thank you Angie, it requires a bit of prep but it is incredibly rewarding 😉 Thank you for visiting!